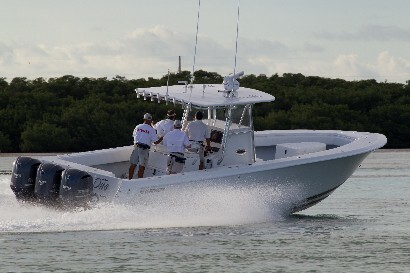 Here's the report after taking a Contender 28 Sport for an extended ride. 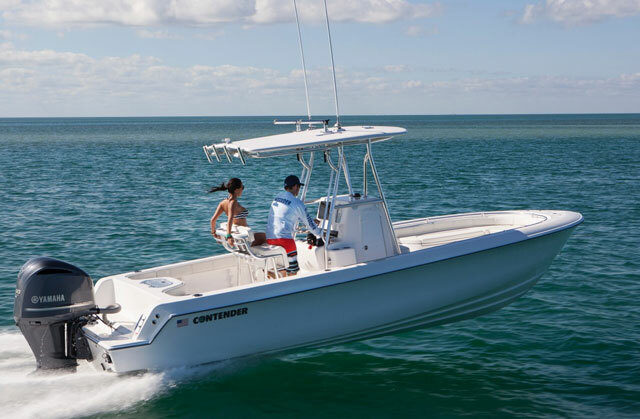 The Contender 28 Sport is more than your average center console fishing boat—it's a high-performance fishing machine that's also been complemented with a few creature comforts. 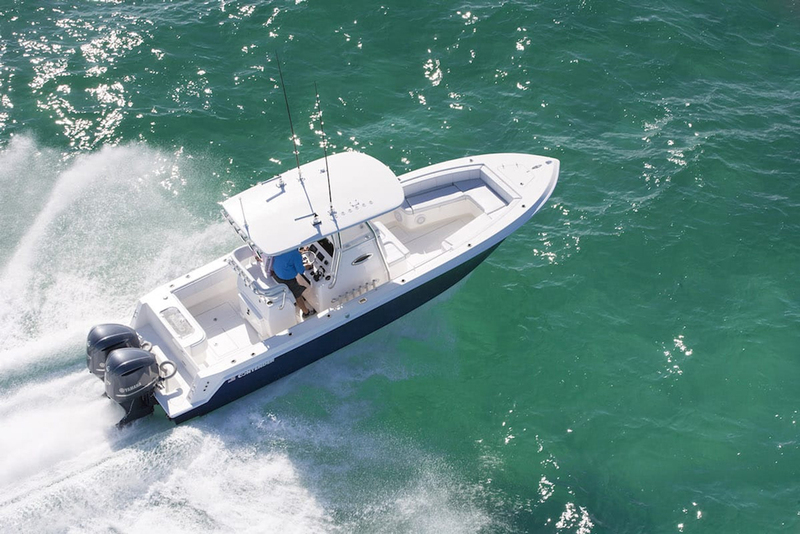 But unlike many "family-friendly" fishing boats, Contender doesn't sacrifice fishing features to make way for the cushy stuff. 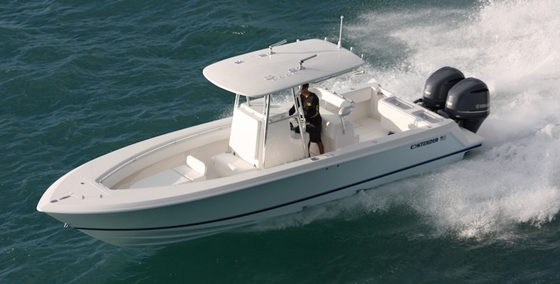 Click on the photo to watch our video boat review of the 28 Sport, and you'll find out why. 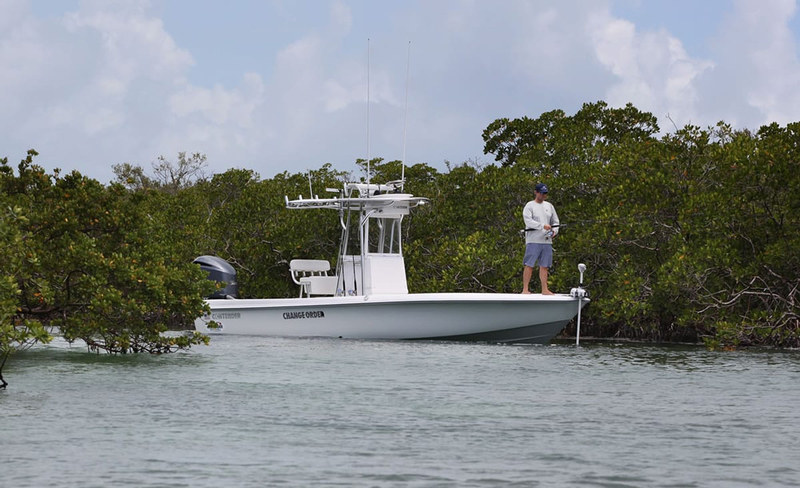 Take a hard-core fishing boat and add a few creature-comforts—without giving up one inch of fishability. -Swing from the T-top, lean against the grab rails, and shake the leaning post; everything is solid as a rock. -All hatches dog down, are guttered, gasketed, and have full-length piano hinges. Some on our test boat didn't have gas-assist struts, but these can be specified when the boat is ordered. -This boat rocks. We mean, it ROCKS! Top-end was an eye-watering 62.9 MPH, and cruising speeds are well into the 40's. -Fuel efficiency is better than one would expect from a 28-footer with 600 horses, hitting 1.8 MPG at cruise and never dipping below 1.2 MPG. -As you can see in the video, this boat has sports car-like handling. -24.5-degree deep-V slices and dices the waves. 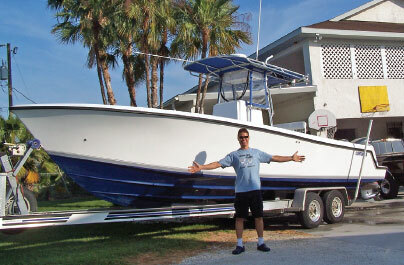 -The forward fishbox is huge. As in H-U-G-E. I was able to lie down inside of it, no problem. -Electronics flat is tucked behind a fold-away door, so it's lockable and protected from the weather. 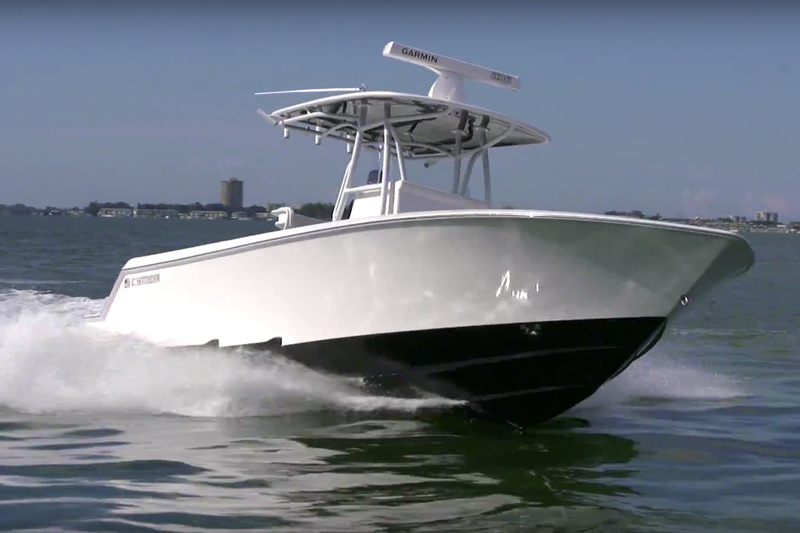 -It's impossible to quantify (and yeah this sounds a bit like advertising hype), but trust me on one thing: this boat is downright fun to run. I had to tear myself away from the helm, when it was time to end our sea trial. 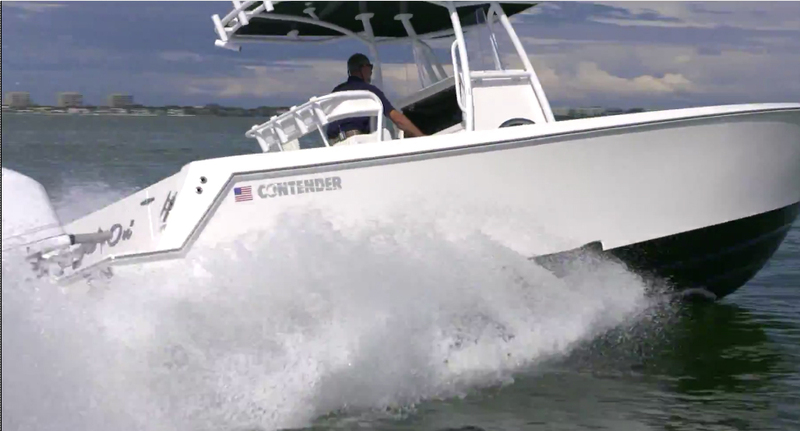 If you want more information on the Contender 28 Sport, visit Contender. Or, check out these Contender 28 listings.